Discussion in 'Gambling News' started by Kotsy, Oct 16, 2013.
the week of October 14th. Great to see this awesome Online Casino expanding their brand. 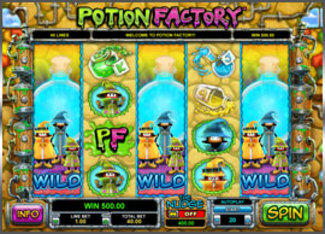 The first new video slot release will be Potion Factory from Leander Games. Potion Factory is a 40 payline video slot that has the nudge feature and a multiple Bonus Features where you can win Free Spins or Picker Bonus where you have to find the right ingredients. A second release will be for Mobile play. Players will now be able to enjoy playing Magic Portals from NetEnt on their Mobile Device. 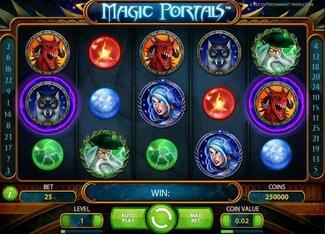 Magic Portals is a 25 payline video slot with some Magic Wilds, Free Spins and incredible payouts. Along with the new releases, watch for some incredible bonuses to celebrate their release. I love the fact that Harry Casino offers different types of Video Slots for you to play. A little bit of something for everyone.